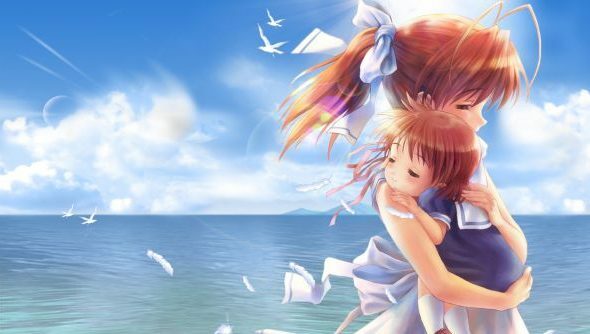 At the Japan Expo USA 2014, Sekai Project and Key Visual-Arts announced that they will be localising the cult classic visual novel, Clannad, for western release. What’s more is that the visual novel will be releasing on Steam. The version being localised will be the “full voice edition” of the game, and a release date is still yet to be determined. Even the most popular and famous Japanese visual novels usually never see a western release; instead they’re translated by unofficial fan groups. However visual novels have slowly been garnering popularity on Steam ever since Valve introduced the tagging system. Clannad was originally released back in April 2004 in Japan where it enjoyed critical acclaim. In that year alone it sold over 100,000 copies on PC, while many re-releases of the game on other platforms sold even more. The game follows the life of Tomoya Okazaki and his trials and tribulations of high school and beyond. It features a branching plot line where players can change the outcome of the game with pre-determined scenarios, and achieve multiple endings. Would you like to see more popular visual novels hit Steam?